Dublin is known for its beautiful neighborhoods, parks and green spaces. And residents help keep it that way with their own yard and home improvement projects. But where to begin? We’ve gathered all the info you need for any project, large or small. Download our printable Neighborhood Pride flier that includes yard, mulch, fertilizer and other helpful tips. Adding a patio, fencing or other improvement to your property? Be sure you have the right permits! Find permit information here. For questions contact our Code Enforcement office at 614.410.4647. Remember to screen it green! All trash and recycling containers must be stored inside a garage or accessory structure. Trash and recycling bins should be stored inside a storage area such as a garage or shielded by a natural landscape barrier. Ensure grass and weeds do not exceed a height of 6 inches. This helps ensure properties are properly maintained and prevents maturing seeds from spreading to adjacent properties. Read more. City crews work hard to keep Dublin beautiful through regular litter removal along right-of-ways. Despite these efforts some residents and commuters continue to litter, whether they realize it or not. Help keep Dublin beautiful by remembering to securely fasten trash and recycling bins and reporting litter when you see it. More isn’t always better. Many Dublin residents use up to 3x more fertilizer on lawns than is necessary or healthy. Using too much fertilizer is wasteful and can make lawn and local water unsafe for people, pets and children. Together, our efforts can keep it Greener in Dublin. Download our Fertilizing Rack Card. The City’s Horticulture experts plant, prune, water, weed and everything in between. 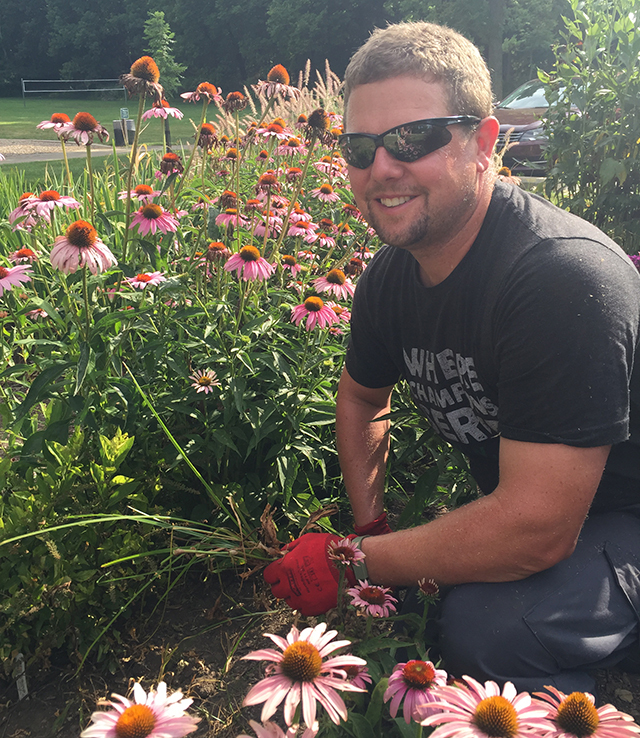 Our knowledgeable staff is here to answer all your lawn care, gardening and planting questions. Ask us here! Dublin City Code outlines a broad range of public health and safety regulations including parking, public nuisances, illegal signs and other property standards that allow residents and business owners to participate in maintaining the high quality of the City’s neighborhood and commercial districts. In addition to complying with City Code, many property owners may also be required to follow standards of a homeowners association. Grass & Weeds: It is a violation of city code to permit grass and weeds to grow in excess of six inches. This includes trimming around the house, trees, etc. Property owners are also responsible for properly maintaining landscaped areas, such as flowerbeds and gardens, and the area between the street curb and sidewalk. Personal Vehicles: All vehicles must be either parked on the driveway or on the street. In no circumstances may a vehicle be parked on the grass or blocking the public sidewalk. All vehicles parked or stored on the property must be street legal and in operable condition. If a vehicle is inoperable, it must be stored inside the garage. Recreational Vehicles: Recreational vehicles and utility trailers may not be stored on a residential property unless they are fully enclosed in a structure such as a garage or shed. It is permitted to store a recreational vehicle for up to 72 hours outside an enclosed structure if the owner is a guest of the homeowner or if the homeowner is loading/unloading or preparing the vehicle for use on vacation, etc. This includes any vehicle used for camping, traveling, boating or other leisure activities including but not limited to campers, boats, motor homes, snowmobiles, wave runners and trailers used for transporting these type of vehicles. Condition of Premises: The yard and surrounding area must be kept in a clean and sanitary condition with no accumulation of garbage or waste in order to maintain the health, safety and welfare of our community. Scrap lumber, paper, cardboard, yard clippings, tree branches, metal, plastics and household furnishings are examples of garbage/waste. Exterior Property Maintenance: All structures located on a property including the main house, accessory buildings, fences, pools, mail boxes and play structures must be kept in good condition and well maintained, including painting. Trash/Recycle Collection: Containers may be placed at the curb for pick-up the evening before or morning of designated collection days. Containers must be removed from the curb area the same day of service after collection. For large items such as home furnishings and appliances, a special pick-up is generally required. Please make arrangements with the trash hauler prior to placing such items at the curb. In no case may the items remain at the curb longer than 24 hours. Street and Sidewalk Obstructions: Trees, shrubs and all vegetation must be kept trimmed back from the sidewalk, street and fire hydrants to ensure there is no obstruction or interference with pedestrians, vehicles or the fire department. No obstructions such as portable basketball hoops, trash/recycle containers, skateboard ramps, bicycles or debris may be placed on a public sidewalk or tree lawn. Addresses: All dwellings in the City are required to have the address visible and legible from the street in front of the dwelling. House numbers must be a minimum of four inches in height and be Arabic Numbers, (i.e. 12345). House numbers must be of a contrasting color to the surface to which they are applied, i.e. white house would require the numbers to be black or other color that would contrast with white to make the numbers stand out to attract attention). House numbers stenciled on a street curb do not meet this requirement. Permits: Patios, fences and decks require approved permits prior to installation. Permit applications may be picked up at 5800 Shier Rings Road or online- https://dublinohiousa.gov/building-standards/forms-permits-fees/. Play structures such as a playhouse, (under 200 square feet), swing set, trampoline, etc. do not require a permit but must be located in the side or rear yard. Unsightly Premises: Any person having control or occupying property in the City of Dublin shall not allow any part of the property visible from the street or neighboring property to become so unsightly or untidy that it detracts from the appearance of the neighborhood or threatens the safety and welfare of the neighborhood.